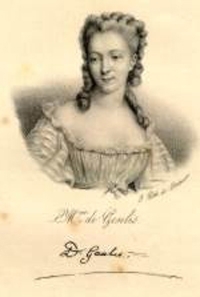 Stéphanie-Félicité de Genlis was a writer and educator whose work included the well-received novel Adèle et Théodore; ou, Lettres sur l’éducation (Adele and Theodore; or, Letters on Education, 1782). Genlis was also head governess and tutor to the children of the duke and duchess of Chartres, during a period when it was unheard of for a woman to tutor sons of a royal family. Genlis wrote extensively, publishing more than 100 books; she lamented the limited opportunities for female writers, but was not radical in her ideas about expanding opportunities for women in society, as she advocated a primarily domestic role.